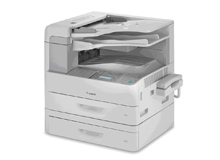 Canon's LASER CLASS 830i Multifunction Facsimile System offers you the flexibility and productivity you are looking for. The rich fax feature set includes versatile dialing capabilities, high memory capacity, and the ability to automate the storage of incoming and outgoing data with Job Forwarding and TX Archiving. Beyond fax, there are numerous functions that help achieve seamless workflows and enhanced productivity. 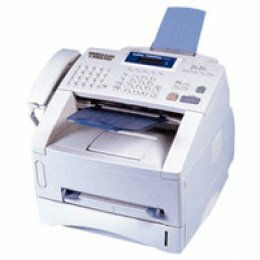 Duplicate one - or two-sided originals at speeds of up to 23 pages per minute (letter) with the convenient copying feature. Consolidate existing single-function fax and printer devices into one with the device's standard network printing capabilities. Change the way you communicate with the flexibility provided by the standard Color Send feature of the LASER CLASS 830i that allows you to scan and send data to e-mail address destinations, I-fax-capable machines, FTP or SMB destinations, in a variety of formats.